In celebration of Mid-Autumn Festival on September 24, InterContinental Hong Kong’s 2-Michelin star Yan Toh Heen is preparing a selection of homemade moon cakes and gift hampers – all presented in elegant new “jade” gift boxes created by Hong Kong designer Millicent Lai, who was formerly Chief Homeware Designer of Shanghai Tang, inspired by the restaurant’s stunning new design and “jade box” theme. This Mid-Autumn Festival, support Make-A-Wish Hong Kong by purchasing Yan Toh Heen’s Yuzu-Custard Moon Cakes. This special moon cake is inspired by Wish Children from Make-A-Wish® Hong Kong, who participated in the selection of the flavor and design. 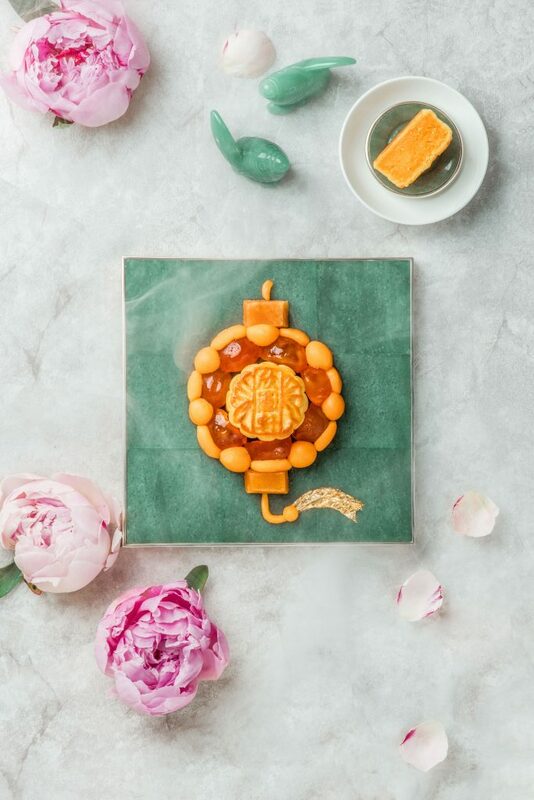 Net proceeds from the sale of the Yuzu-Custard Moon Cakes benefit Make-A-Wish® Hong Kong, with your purchase helping us grant wishes of children with life-threatening medical conditions to enrich their human experience with hope, strength and joy. 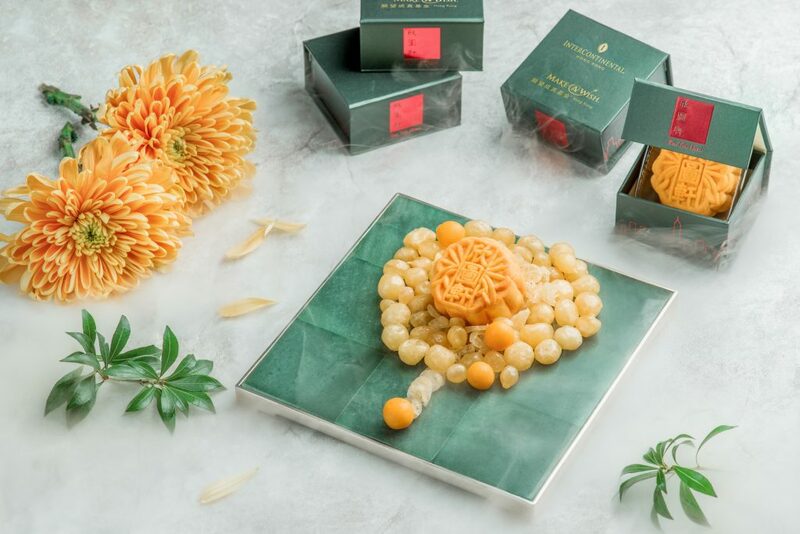 Treat friends, family and colleagues to Chef Lau Yiu Fai’s homemade Moon Cakes packaged in elegant new Yan Toh Heen “jade” boxes, inspired by Yan Toh Heen’s stunning new design. 10% discount for 10-25 boxes, 15% discount for 26-50 boxes and 20% discount for over 50 boxes. 15% discount for ICHK Dining Club members. 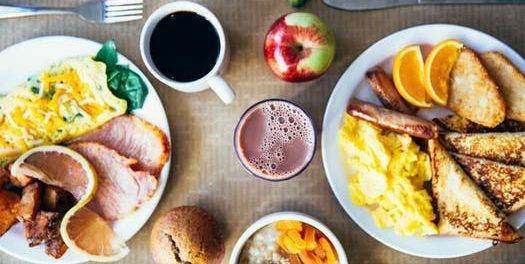 (The ICHK Dining Club and credit card discounts cannot be combined with the bulk order discount. This special moon cake is inspired by Wish Children from Make-A-Wish® Hong Kong, who participated in the selection of the flavour, design and packaging. Net proceeds from the sale of the Yuzu-Custard Moon Cakes benefit Make-A-Wish® Hong Kong. Your purchase helps us grant wishes of children with life-threatening medical conditions to enrich their human experience with hope, strength and joy. Discounts are not applicable for the Make-A-Wish® Moon Cakes, since all proceeds benefit Make-A-Wish® Hong Kong. Click here for the Moon Cake Order Form with further details. 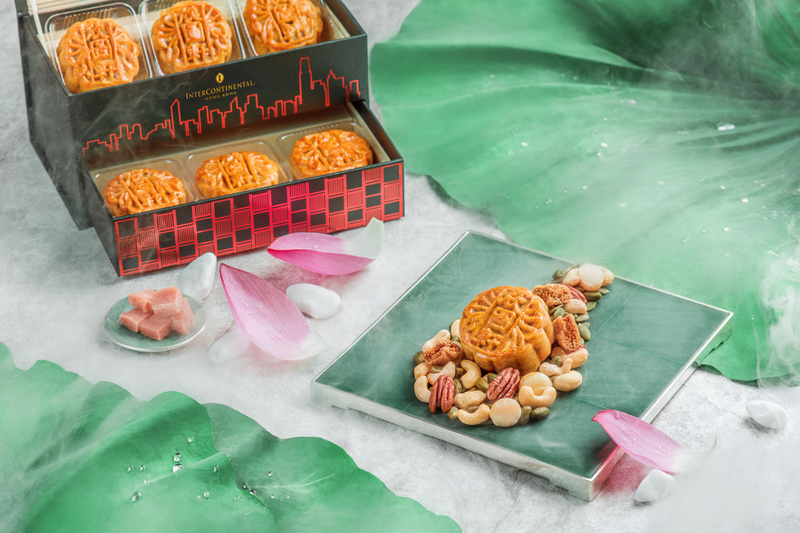 To order Yan Toh Heen Moon Cakes, please complete the form and e-mail to hkghc.yth@ihg.com or visit our E-Shop. Tel: (852) 2313 2323 / E-mail: fb.hongkong@ihg.com. Yan Toh Heen is open daily for lunch and dinner.